MAYS ROOKIE!!! 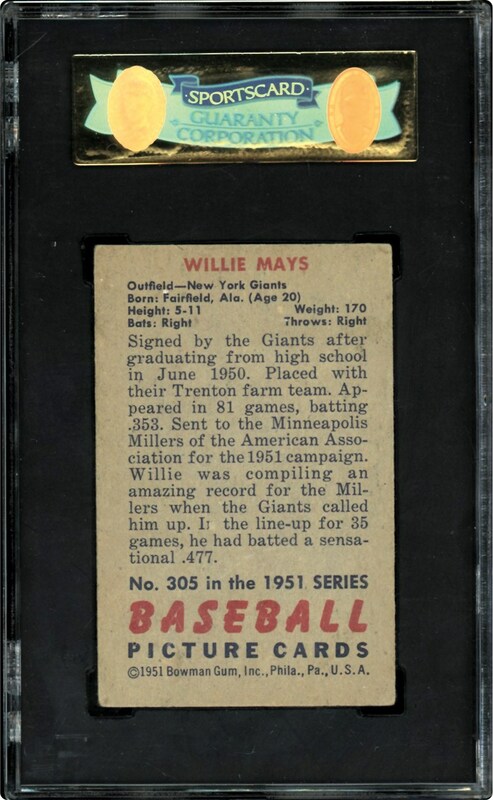 Mays is considered by many experts to be the greatest '5 tool' player to ever play the game. 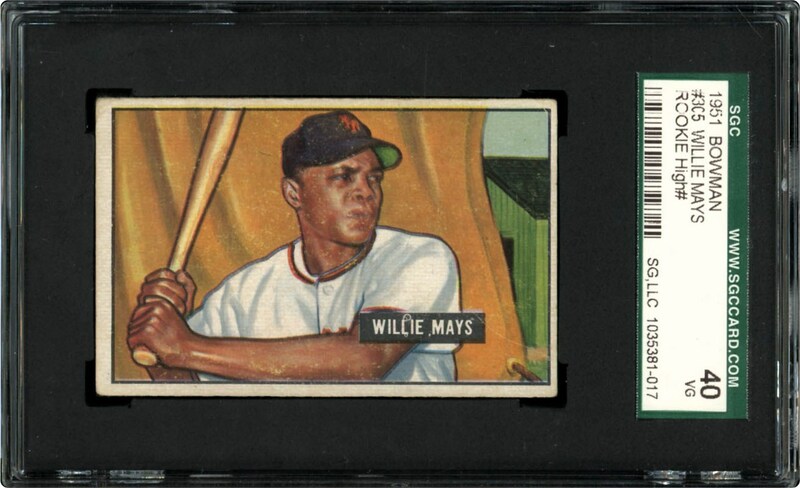 His legacies are long listed, which makes this Willie May's 1951 Bowman rookie card so desirable. One look at Willie's youthful batting pose turns back the clock to an era when baseball was simply viewed as men playing a kid's game. A batting stance image of a youthful Mays reflects clear registration, framed by clean borders. Strong VG Mays Rookie graded by SGC.